National banks and regulators, exchanges and investment banks across the world are taking seriously the financial innovation of distributed ledger or blockchain technology. The block chain, aka Trust Machine underpins "crypto currencies" such as Bitcoin; but it goes beyond digital money. It provides a shared, trusted, public ledger that everyone can inspect, but no single user controls. It is at the cusp of revolutionising international money transfers, trade finance, syndicated lending and collateral management, among other applications. As it allows for almost instantaneous payments and settlement, the potential impact on the role of traders, quants and other financial technologists cannot be underestimated. 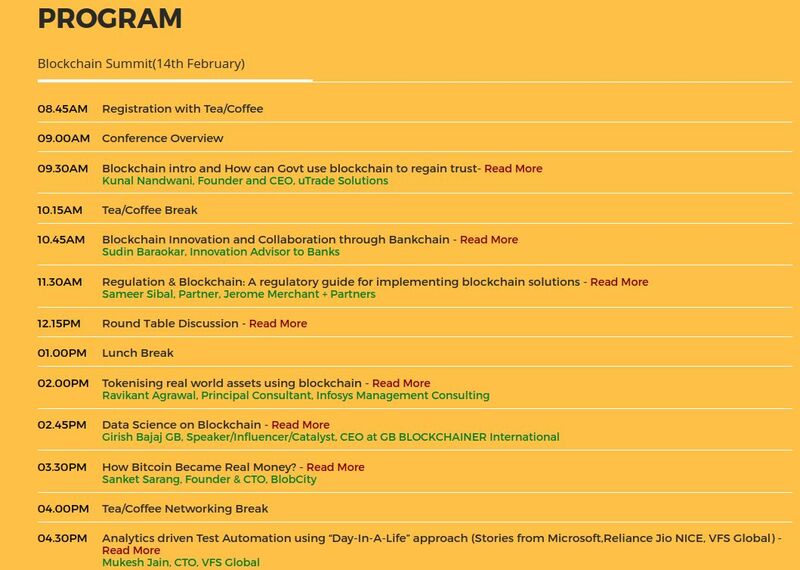 This conference brings together Blockchain technologists in the finance sector, regulators, industry commentators, computer science researchers and others involved in financial innovation; these experts explore some of the technology and the many applications of Block chain in Financial Services in Mumbai.